The Tiara Superb is one of our finest divan beds from VISPRING. 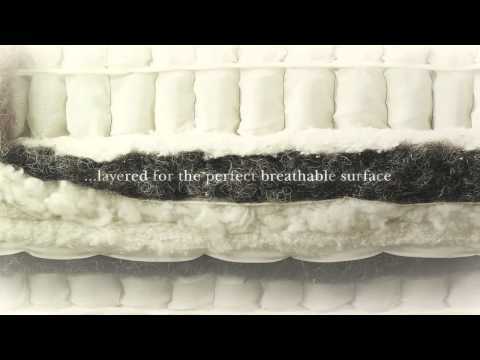 The luxury mattresses are made to order to the highest standards in a soft, medium, firm or extra firm comfort levels. The worlds finest all natural upholstery including blended Platinum Certified real Shetland wool, cotton, hand-teased horsetail are layered around hand nested vanadium pocket springs. This renowned mattress is paired with the sovereign pocket sprung divan with over 1344 springs in the average king size bed for the ultimate support and comfort. 100% natural upholstery including real Shetland wool, hand-teased horsetail with the finest cotton.